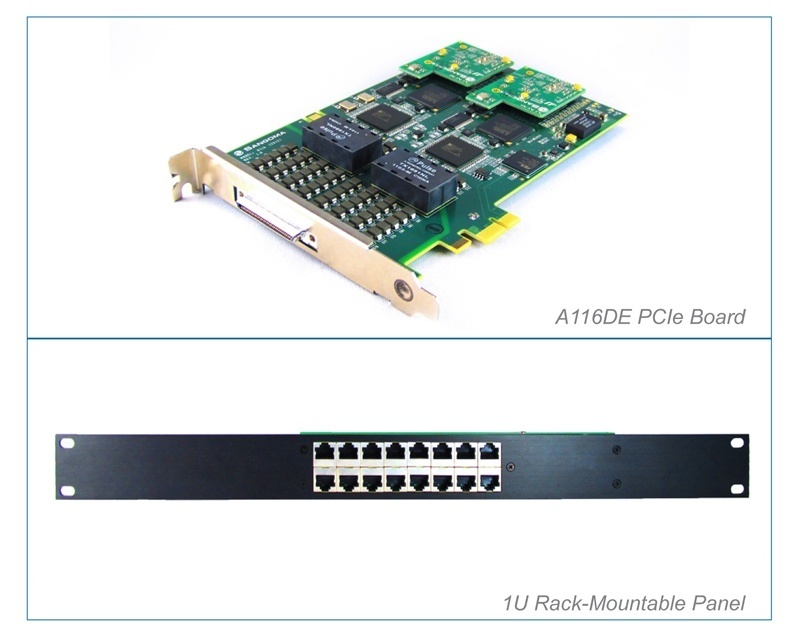 The Sangoma A116DE PCIe, 16 spans, with H/W Echo Cancellation is part of Sangoma’s family of Advanced Flexible Telecommunications hardware product line – using high performance PCI Express interface, providing superior performance in critical systems all over the world. 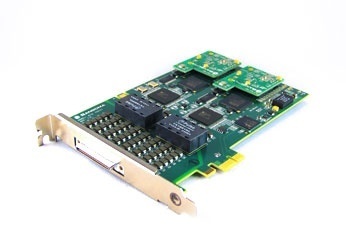 The Sangoma A116DE PCIe, 16 spans, with H/W Echo Cancellation supports up to 32.8 Mbps of full duplex data throughout 480 voice calls using 16 T1/E1/J1 spans. Sixteen spans of T1, E1 or J1 available with carrier-grade hardware echo cancellation. 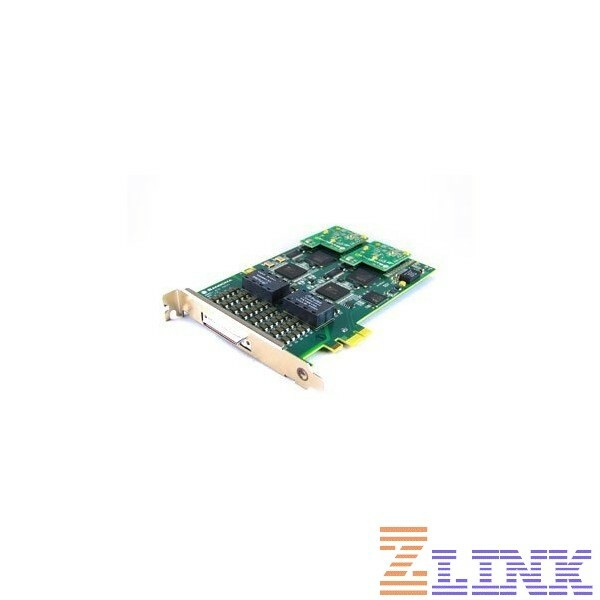 With Sangoma boards, you can take advantage of hardware and software improvements, as soon as they become available. The Sangoma A116, like all boards in Sangoma’s AFT family, is field-upgradable with crash-proof firmware. Choose the Sangoma A116E and A116DE, equipped with world class DSP hardware to achieve carrier-grade echo cancellation and voice quality enhancement functions for telecommunication systems. 1U Rackmountable Breakout panel with 16 RJ45 ports: Contains a cable with a 68-pin connector at one end and 16 RJ45 female connectors on a rackmountable faceplate at the other end. 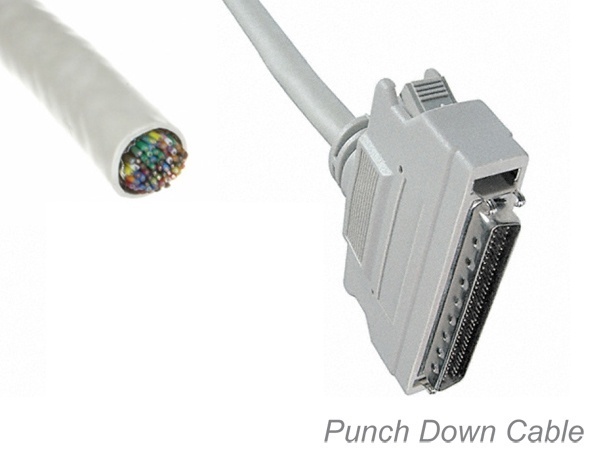 6-Feet punch down cable with a 68-pin connector at one end and loose 68 color coded wires at the other end. Can be punched down or wire wrapped with the end-users connector block of choice.